VERSAILLES, France The king is dead, but the molecatcher lives on. He even signs SMS messages: "Molecatcher to the king." It's been over two centuries since Louis XVI was guillotined on Paris' Place de la Concorde, but the job of hunting the underground rodent that so troubled French monarchs on the grounds of the Versailles palace still exists. Its current holder carries on, business as usual, with a task that hasn't changed in centuries. "It might sound funny, but it's serious work. 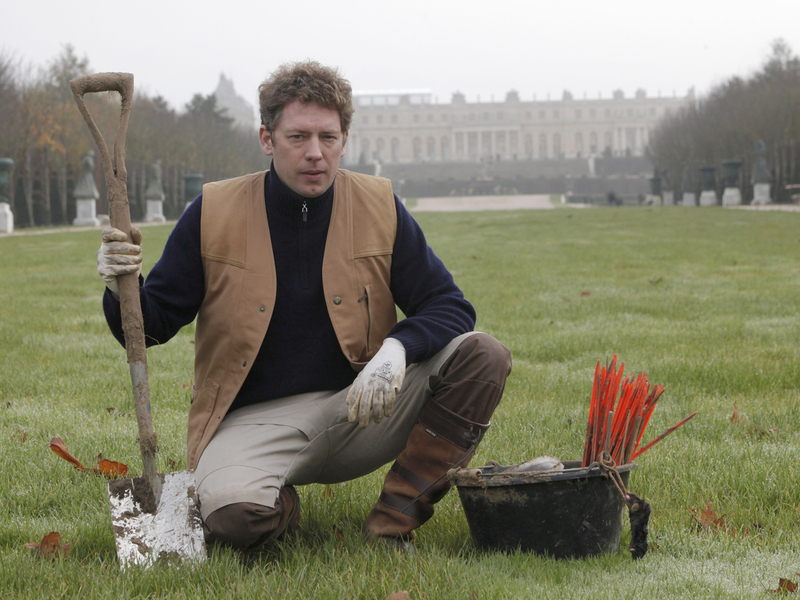 My job is to make sure molehills don't deface Europe's finest gardens," says 36-year-old Jerome Dormion, the latest in an unbroken 330-year line of burrowing rodent-killers in the royal palace and gardens visited by six million people a year. "We still have visiting dignitaries too. Imagine if they were to see them!" Dormion  who started out as a regular gardener before noticing a niche in the molecatching market  keeps the roughly 800 hectares (2,000 acres) of magnificent horticulture mole-free. The grounds include fountains, an orangery, glistening landscaped grass, Marie Antoinette's cherished farm and famed gardener Andre Le Notre's Royal Path and Grand Canal. He takes the work very seriously  but there's the odd flash of humor. "I'm known as the king's molecatcher because Versailles is still the palace," he says. "The king might be gone, but the palace still has moles, loads of them." He smiles: "Which is good, as it keeps me in work!" Versailles is a veritable hotbed for moles, unlike some other European palaces, since it lies in the verdant countryside some 12 kilometers (7.5 miles) outside the Paris city walls. Across the channel, Britain's Queen Elizabeth II need not furrow her regal brow, as her palace, within London, is protected by city foundations that prevent moles from digging through to the royal residence. At Versailles, large mounds of earth mark out the path of the mole's underground kingdom, in which Dormion sets dozens of archaic-looking traps featuring two metal prongs that smash together to break the rodent's neck. "It resembles a guillotine," says Dormion with a wry-smile. He tried poison for a while, but decided the contraption invented in the 1600s was the best, not to mention most faithful to the historic role. For their part, moles, solitary underground rodents with giant paws for digging, outdate even the oldest kings of France. They first burrowed into Europe some 40 million years ago, and over the centuries have been the enduring bane of royal gardens in and around France. In fact, it's a small miracle that a myopic, near-deaf worm-eater that can die of stress if it goes above ground has survived so long. Zoologists say their against-all-odds success is due to a decline in natural predators like wild cats and weasels  and the mole population is now booming. One single mole can make 30 molehills a day, which multiplied a hundred-fold can see entire estates pockmarked within weeks. The royal molecatcher was first hired by Louis XIV, the Bourbon king who moved the court to Versailles in the late 1600s. Historians say that the spendthrift monarch lavished so much money on the upkeep of his beloved residence that it plunged the entire country into debt. "Versailles was the greatest symbol of France. After everything (Louis) spent on the gardens, imagine if the moles had been allowed to run riot? All this money would have been squandered, wasted," says Versailles' head gardener Alan Baraton. "For the king, of course, it was one of the most important functions at the palace." So vital was the molecatcher to preserving the beauty of the costly gardens, he was rewarded with his own residence at Versailles. From the 1600s, the molecatchers all came from the same family  the Liards  until in 1812 Napoleon Bonaparte put a stop to the father-to-son succession. "The last Liard molecatcher was a bit of a party animal, and turned the residence into a cabaret and a brothel," said Baraton. "One day Napoleon was strolling in the gardens, and a prostitute came out and propositioned him. The molecatcher was immediately thrown out and that was the end of the residence." Being a good molecatcher can also save lives. In 1702, William III of England died from injuries he sustained after his horse tripped on a molehill. "If the king had been more careful about the upkeep of his grass, he would not have been dead at 52 years old," says Baraton wisely. Dormion, too, doesn't underestimate his prey. "Moles are exceptionally clever. That's why the majority of gardeners can't catch them. One of the wiliest I have ever encountered outsmarted my traps for three months. ... Eventually, it got lazy and I got it." He calls it one of his proudest professional moments. Dormion also highlights how versatile the mole is. On a scorching summer day, he once stood aghast at a strange sight in one of the royal fountains: a mole swimming around the basin. "In my job," says Dormion, "I never fail to be surprised." Surveillance video appears to show one of the bombers who killed more than 300 people in Sri Lanka. The prime minister says warnings were missed. Also, police release video and a sketch they believe show the suspect of the man who killed two teen girls in Indiana. All that and all that matters in today's Eye Opener. Your world in 90 seconds. Get the Eye Opener delivered straight to your inbox.